The roots of Goju ryu karate. Higaonna Kanryo (東恩納 寛量) Sensei was born in the city of Naha (那覇), Okinawa (沖縄) in 1853. As a youth he began learning Kempo and very quickly became a master martial artist. In 1868 he travelled to Fuzhou (福州), China. After some time he was introduced to Kempo master Ryu Ryu Ko and was finally, after a long period, accepted as Ryuko’s personal disciple. Higaonna Sensei stayed with Ryuko for fifteen years and became Master Ryu Ryu Ko’s most skilled student. Higaonna Sensei returned to Okinawa in 1881 where his martial arts became known as Naha-te (那覇手) or Naafaa-dii in okinawan. His fame as a martial artist quickly spread and the Okinawans soon realised that the martial art of Higaonna Sensei exceeded anything that they have seen before. Higaonna Sensei opened his house as a Dojo and continued to teach until his death in 1915. He is honoured as the founder of Okinawan karate. The founder of Goju-ryu (剛柔流) karate, Miyagi Chojun (宮城 長順) Sensei, was born in Okinawa in 1888. At the age of twelve he started karate training with Arakaki Seisho (新垣世璋) Sensei. At fourteen he was introduced to Higaonna Kanryo Sensei and was eventually accepted as Higaonna Sensei’s personal disciple. Together they devoted their lives to the improvement and advancement of Naha-te, until Higaonna Sensei’s death in 1915. After his Master’s death Miyagi Chojun Sensei travelled to China to develop his knowledge of the martial arts. On his return to Okinawa he began to teach at his home. Later, he also taught at the Okinawan Prefecture Police Training Center, at the Okinawan Master’s Training College, and at the Naha Commercial High School. Miyagi Chojun Sensei was responsible for structuring Naha-te (which he later named Goju-ryu) into a systemized discipline, which could be taught to society in general. The teaching system, which he formulated, enabled Karate to be taught to schools for the benefit of young people, and to reach vast numbers of people throughout the world. However, his private teaching at his home remained strictly in adherence to the principles and traditions of the teacher, Higaonna Kanryo Sensei and his teacher before him Ryu Ryu Ko. Miyagi Chojun Sensei passed away on October 8th, 1953, leaving a great legacy behind. He predicted that during the twentieth century Karate would spread throughout the world. Today we can see that his prediction has been realized; Karate is not only practiced in Japan, but can be found in over 140 countries of the world. After Miyagi Chojun Sensei’s death a meeting of senior students and Miyagi Kei, the second son of Master Miyagi, it was agreed that Miyazato Eiichi Sensei was the most qualified to succeed Miyagi Chojun Sensei. Miyazato Sensei accepted the responsibility and dedicated his whole life to preserving and spreading Goju-ryu in Okinawa from his dojo, the Jundokan (順道館). 2003 marks the 50th anniversary of the Jundokan Dojo. Tenth Dan, Hanshi, Miyazato Eiichi (宮里 栄一) was born in Naha, Okinawa on July 5, 1922. He began his training in Goju-ryu Karate-Do in 1938 under the founder of Goju-ryu, Miyagi Chojun Sensei. At the early age of thirteen, Miyazato Sensei was accepted in Miyagi’s Garden Dojo for formal training. Although Miyazato Sensei excelled in the art of Goju-ryu, Karate was not his only passion. His daily martial arts training were divided equally between Karate and the sport of Judo. Not only did he master the sport of Judo, but he also became Okinawa’s and the all Japan Police Judo champion for many years. Miyazato Sensei passed away on 11th December 1999. Sensei Jean Frenette is a devoted karate-do for 38 years. He has won over 30 international titles, has written books and produced several videos about martial arts. He has given demonstrations and seminars throughout the world and has organized events that have attracted up to 15 000 spectators. A student of Chuck Merriman Sensei (10th dan Goju-ryu), Sensei Jean Frenette has led repeatedly to master Miyazato, himself a student of Chojun Miyagi founder of Goju-ryu Okinawa. Frenette Sensei actively manages the International Federation Seishin Okinawa Goju-Ryu Renmei. As technical director of SOGR, Frenette Sensei karate ensure that members of the association, train rigorously and to seek continuous improvement while preserving the authenticity of Goju-ryu Okinawan . The karate and Sensei School martial have the chance to benefit from the technical supervision of Sensei Frenette. Sensei Jean Frenette pratique assidûment le karaté-do depuis 38 ans. Il a remporté plus de 30 titres internationaux, a rédigé des livres et réalisé plusieurs vidéos concernant les arts martiaux. Il a fait des démonstrations et donné des séminaires à travers le monde et a organisé des événements qui ont attiré jusqu’à 15 000 spectateurs. Élève de sensei Chuck Merriman (10e dan Goju-ryu), sensei Jean Frenette s’est entraîne à plusieurs reprises auprès de maître Miyazato, lui-même élève de Chojun Miyagi, fondateur du Goju-ryu d’Okinawa. Sensei Frenette dirige activement la fédération internationale Seishin Okinawa Goju-ryu Renmei. En tant que directeur technique de la SOGR, sensei Frenette s’assure que les karatékas, membres de l’association, s’entraînent de façon rigoureuse et cherchent à s’améliorer constamment tout en préservant l’authenticité du Goju-ryu d’Okinawa. 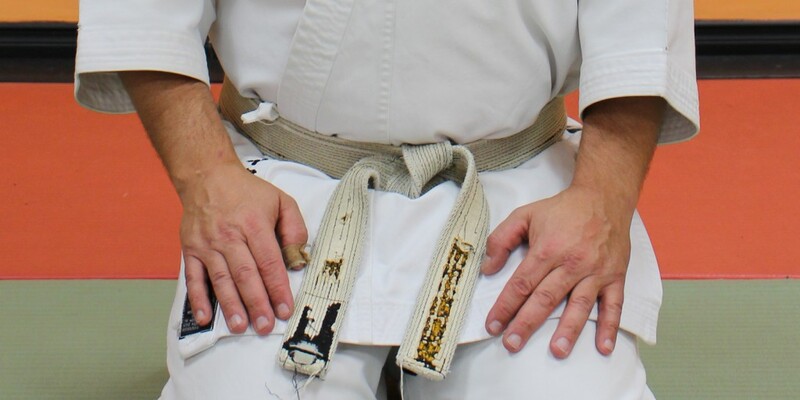 Les karatékas et les sensei de l’école martiale ont la chance de bénéficier de la supervision technique de sensei Frenette.